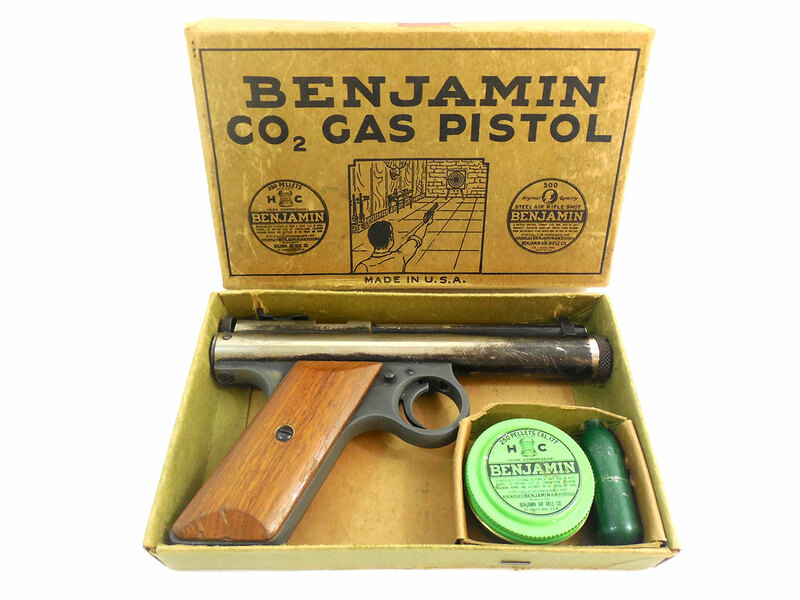 This is a 1950’s era (mfg 53′ – 56′) Benjamin 252 CO2 pellet pistol in the original box. 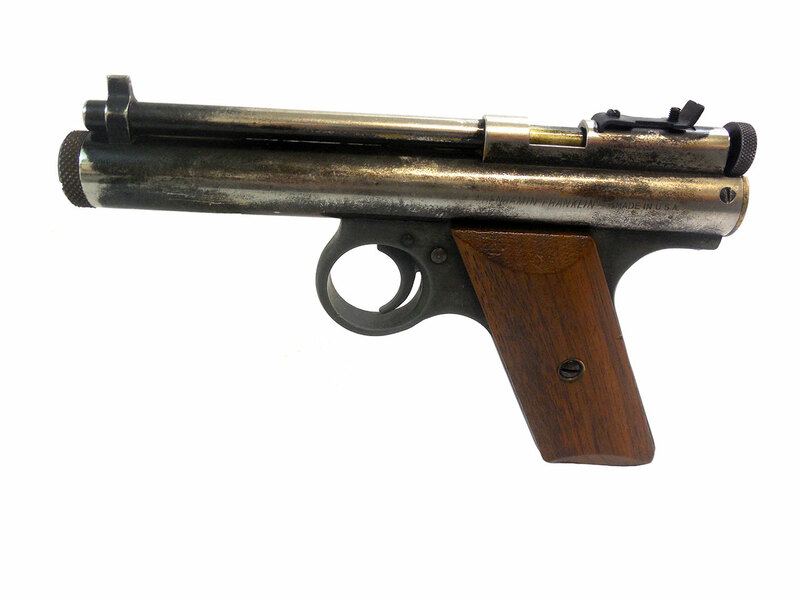 It’s an 8-gram CO2, .22 caliber, single shot bolt action with a wood grip. The box is in great shape considering the age, and the wood grip is in excellent condition. 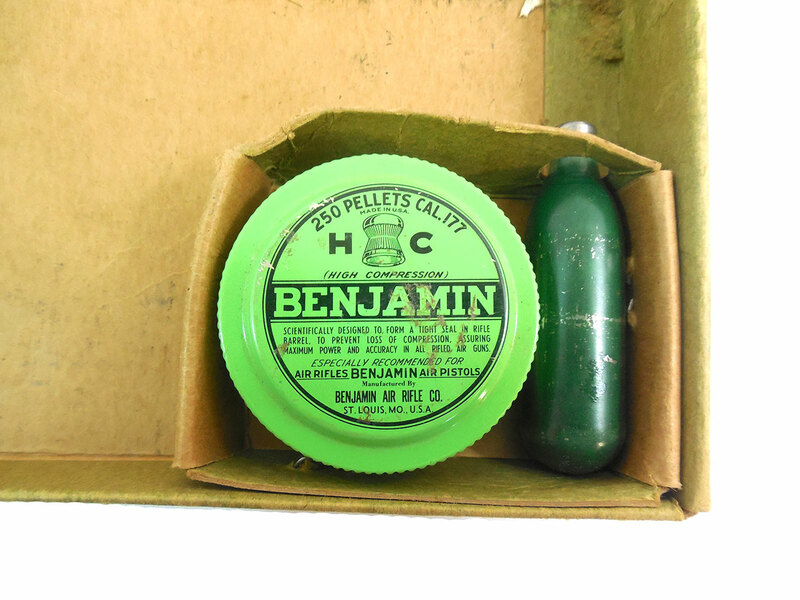 There is a .177 pellet tin included, since we don’t have a .22 tin. It also includes an original CO2 cartridge. The metal retains about 50% of the original black nickel finish. 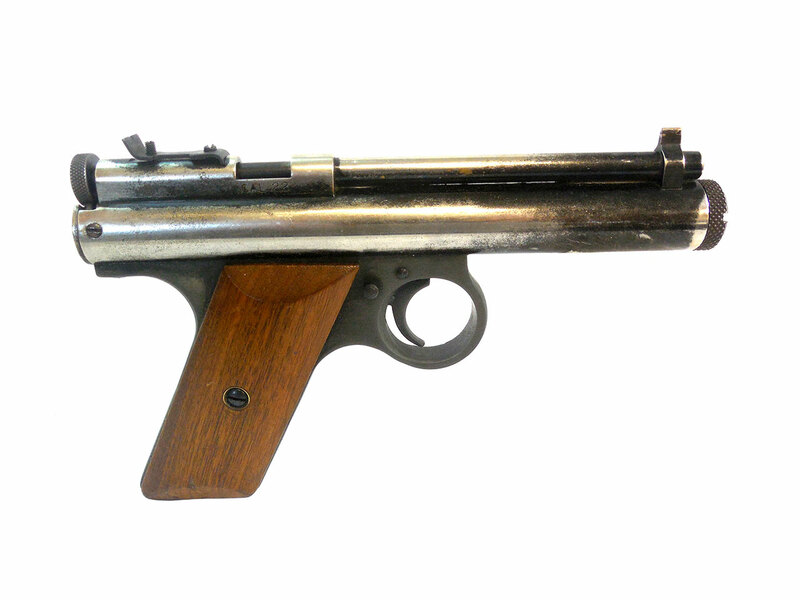 It has a nice vintage look to it. We tested the velocity in our shop at around 299 fps using lead pellets. This was a great find, and a good collector’s piece. 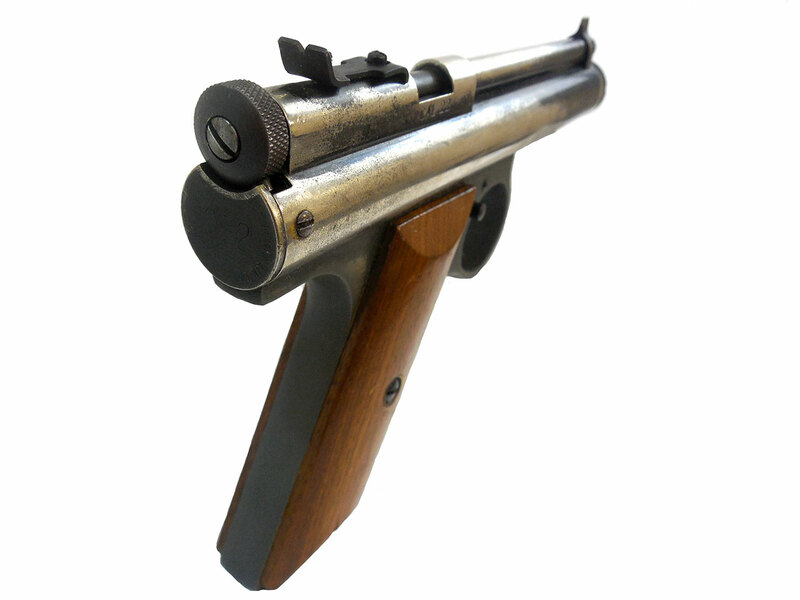 It still shoots, so you can have some fun plinking.